Tablets vs. Laptops : Which is Better? A simple question to ask: which is better, laptop or tablet? But it is not so simple to answer. Not only are there a lot of laptop and tablet models out there, there are now Ultrabooks and hybrid machines that encompass both tablet and laptop features. Here are a few tips to help you navigate your way through the market and purchase the best computer for your needs. Initially invented as an alternative to the desktop computer for portability, the laptop has now been trumped in this way by the tablet. The benefit of a laptop is that is portable, but particularly for use around the house, and you are able to do all the things you would at a desktop, but on your sofa, or your bed. Most find the keyboard easier to use than touchscreen, as they can type faster and more accurately. 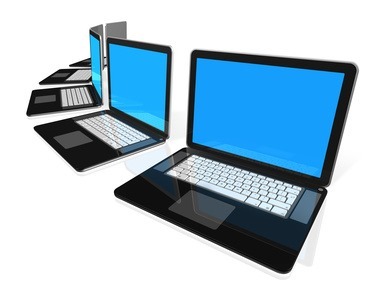 The screen of a laptop is on average about thirteen inches, which is bigger than the average 10 of the tablet. Sturdier than tablets, laptops are less of a worry when it comes to scratches or damaging the screen. However, they remain heavier and bulkier in comparison to tablets. Some have been designed to be ultra light and portable, but therefore lack certain features. 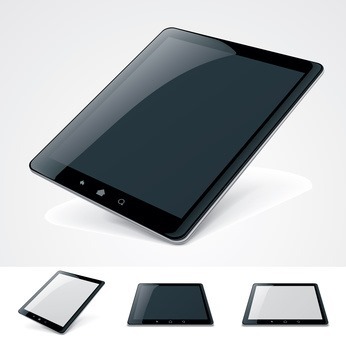 Tablets give you full control of the screen, offering a tactile computing experience. Tablets are far more portable than a laptop. They are smaller and lighter, and being flat they are easier to hold and to show others the screen. They are better for creatives as you can draw directly on to the screen with your finger or a stylus. However, they are more fragile and liable to break than a laptop, and they have a limited functionality. They have no disc drive and limited memory capacity. It can be difficult to type on a touchscreen as you have to look at the screen while you do it, but it isn’t impossible to learn. Some websites aren’t compatible with mobile devices so you may not be able to access all sites. Perhaps an answer to this debate, hybrid machines are in their infancy, but are improving rapidly. The recently announced ASUS Transformer Book, for instance, is an Ultrabook that features a detachable screen so you can use it as a tablet as well as a fully functioning laptop. The Lenova IdeaPad Yoga is an Ultrabook and tablet in one, with a screen that can turn 360 degrees to convert it from laptop to tablet. Some newer tablets, such as the iPad, can connect with wireless keyboards and mice, so they can function as laptops, though still with limited functionality. Unfortunately, it’s a draw. Otherwise there would be no market for either the tablet or the laptop. Essentially, it comes down to what you need it for. Tablets are designed for those who need to work (or play) on the go, and laptops for those who need full functionality, and some people need both! Author Bio: Darcie Hewitt-Dudding is a technology enthusiast who writes on behalf of a company that sells refurbished laptops, SCH Trade. Tablets still don’t deliver the “full blown” work that laptops provide. Ultrabooks are the best choice for the time being. There is slim difference between carrying my iPad and my MacBook Air, in terms of weight and portability. But when you start to think of it, the benefits of ultrabook in comparison to tablet are immense. Hi Bojan. Thanks for your comment. I guess each of these devices have their own merits. And depending on what each individuals wants they can choose between a tablet/laptop/or ultra book. But then, the entertainment value of tablets are so good that they’d probably end up buying a tablet too! I struggle with this. My husband has a desktop but he now realizes that he wants portability. He doesn’t want a laptop but tablets don’t offer the functionality that he needs. I’m thinking there is no perfect solution, but isn’t that what innovation is for? Maybe the Surface Pro would be great for your husband’s needs when it hits markets in February-ish! It will provide a full Windows 8 experience that is highly portable!! Have you see the Dell XPS 12 (you know the Windows 8 laptop that is in the commercial… wherein its screen flips and transforms into a tablet? Now, that is on my wish list… knocks out 2 birds with one stone! Right now, Dell XPS 12 looks like the perfect solution for those looking for portability and functionality in one package. Just a couple of factors that don’t work in its favor though: heavy (3.3 pounds) and pricey (nearly $1700).